Loccitane Sale is on with savings across all your beauty needs! L'Occitane is a hugely popular French company, selling beauty products. Based in Provence, the company was set up in 1976 by a twenty-three-year-old Olivier Baussan, intending to sell products that preserve and celebrate the traditions of the region. L'Occitane is one of those high street shops you can smell as you walk towards it; their enticing and intoxicating fragrances are well-known, as is the quality of their toiletries. The products are inspired by the Mediterranean lifestyle, with scents evoking dreams of life in southern France; the beautiful mountains, the landscape, the Mediterranean sea. Everything about this brand oozes luxury and high quality. 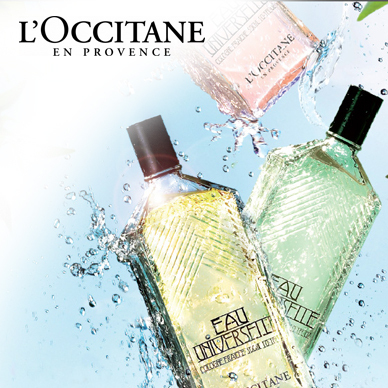 Add Loccitane to your Favourites list and be the first to know every time they have a Sale on! 1st January 2018 - Loccitane New Years Day sales for 2018. 7th May 2018 - Loccitane Early May Bank Holiday sales for 2018, add to your diary now! July 2018 - Loccitane Summer 2018 sales, joining us? 23rd November 2018 - Loccitane Black Friday sales in 2018 start on Friday 24th November. Add products from Loccitane to your Love Sales list. Get the Love Sales button now! Loccitane Cyber Monday Event is now on with up to 20% off savings. For more than 40 years, we've been developing award-winning natural skincare, body care and beauty products, inspired by the Provençal art-de-vivre. Explore our best-selling products, from beauty favourites to our most popular fragrances. Loccitane Black Friday Event is now on with up to 20% off savings. For more than 40 years, we've been developing award-winning natural skincare, body care and beauty products, inspired by the Provençal art-de-vivre. Explore our best-selling products, from beauty favourites to our most popular fragrances. Your Provencal favourites for less! Shop our sale section to discover products from various collections at reduced prices, including body care, fragrances, travel collections and more. As always, our products are made with naturally derived ingredients and inspired by the bountiful and beautiful land of Provence. Don't miss out! Loccitane Easter Flash Sale is now on across all of your L'Occitane favourites! Loccitane January Sale is on with up to 50% off a range of fragrances and cosmetics.